Titanfall Abilities and kit details revealed, players will be able to customize two load-outs, one for the pilot and another one for the Titan. Following our report last week that Titanfall alpha invites were being sent out to select Xbox One owners, footage of the alpha has made its way online -- and with it, details regarding the shooter. According to leaked videos -- which we won't post directly here -- Titanfall players will be able to customize two load-outs, one for the pilot, and one for the Titan. Pilots, who will be your primary character doing the running and gunning, will get a primary weapon, an anti-Titan weapon and a sidearm. In addition to the weapons, pilots will also have a slot for "Tactical Abilities," an Ordinance slot for grenades and two kit slots. If you want to see the game in action, YouTube has a few videos uploaded by people breaking their NDAs for some of that internet fame. In other Titanfall news, the game will be "really tough" to market according to Respawn since it won't have your traditional single-player campaign. 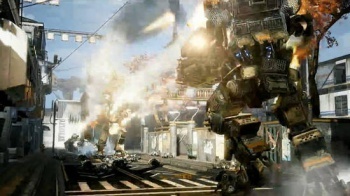 Titanfall will be out on March 11 for the PC, Xbox 360 and Xbox One.